Hurricane Sandy made landfall on Long Beach Island at the end of October 2012 and while the storm has passed and most of Long Beach Island New Jersey has made a full recovery, there are still many questions on the minds of LBI residents and those looking to buy or sell real estate in the Long Beach Island NJ real estate market. Apart from the general questions regarding Long Beach Island house raising, flood insurance on LBI and the new Long Beach Island NJ flood zones, a essential question on the minds of both buyers and sellers on Long Beach Island has to do with Property Disclosure, Hurricane Sandy and the LBI Real Estate Market. For a storm damaged home that was gutted and not restored, the custom has been to sell the house in strictly “as is” condition. It is mostly understood that these homes are being sold for land value with little to no consideration being given to the structure on the property. The owners of the storm damaged home most likely have little to no knowledge of the damage that has occurred and therefore property disclosure on storm damaged real estate is limited. Electrical systems are one of the most important, and potentially life threatening, areas of damage from Hurricane Sandy. Many homes on Long Beach Island suffered no interior damage from Hurricane Sandy however they had water in their crawl space. This is the “silent killer” so to speak as in most crawl spaces have electrical wires and junction boxes. This components are prone to corrosion and can cause fire when not replaced. Sadly, there have been many cases of home on Long Beach Island that seemed to be undamaged by Hurricane Sandy only to burn down later due to unresolved electrical system issues. Mold and mildew is another important consideration when investigating Property Disclosure, Hurricane Sandy and the LBI Real Estate Market…but it must be kept in perspective. To begin with, all homes have some level of mold and mildew inside. This is a simple fact and it is the case not only on Long Beach Island but elsewhere around the country. The mold and mildew that a potential buyer should be concerned with when dealing with Property Disclosure, Hurricane Sandy and the LBI Real Estate Market has to do with improper treatment of wet areas as a result of flooding. If the interior of a house sustained water damage, all wet areas must be dried and treated with the proper chemicals to kill mold. Contrary to common belief, simply putting bleach on a moldy area will not kill the mold. Rather, a proper solution must be applied to ensure that not only the surface mold is killed but also the underlying root that can cause regrowth. 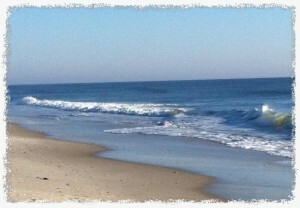 Property disclosure in the LBI real estate market should be viewed by all parties as a positive rather than a negative. If you are planning on selling your property, it is without question in your best interest to disclose all that you know about the house-both good and bad. Most buyers in the LBI real estate market will conduct a home inspection so issues with the property will eventually come to light. It is far better to be upfront about the issues and adjust your price accordingly so as to avoid a potential “deal killer” later on. Buyers too have much to gain from Property Disclosure, Hurricane Sandy and the LBI Real Estate Market. By knowing what to look for and asking the right questions, a buyer in the LBI real estate market can protect oneself from a potentially costly mistake. For more information about Property Disclosure, Hurricane Sandy and the LBI Real Estate Market please do not hesitate to contact me, Nathan Colmer, with any questions and I will be happy to help. If you are thinking of buying or selling in the LBI real estate market on Long Beach Island, you can start by clicking here to view all homes for sale on Long Beach Island New Jersey.